At SERVPRO of Santa Maria we pride ourselves in being a responsive partner. Our customers are our neighbors, and we treat them that way. Addressing mold damage requires decisive action. It requires someone with skill and experience. If you’re in this situation you want to be thinking both assessment and response. Our Santa Maria area restoration and remediation team regularly addresses mold damage throughout the city. We have the expertise and tools to help address even the most serious mold problem areas. Residential and commercial properties in the greater Santa Maria area can trust our team to have the knowledge and proper know-how. Below are some tips about steps to take after suffering commercial or residential mold damage. Contact SERVPRO of Santa Maria for mold remediation services. 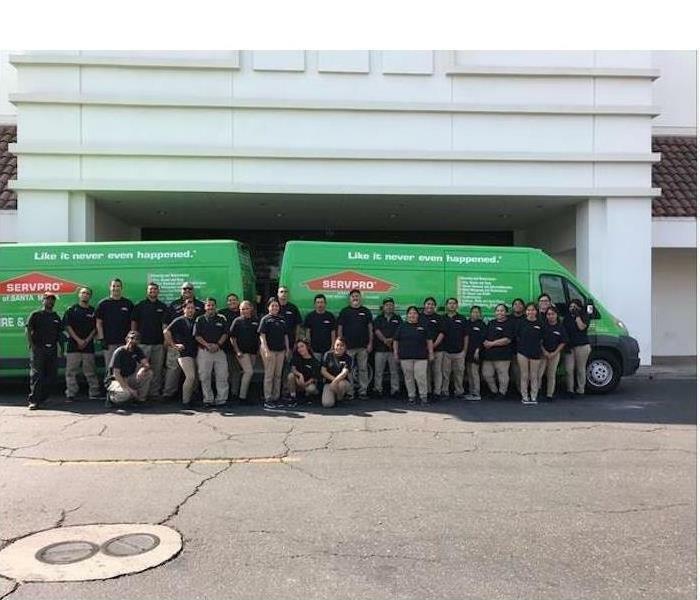 If you suspect that your home or business has a mold problem, SERVPRO of Santa Maria has the training, equipment, and expertise to handle the situation.